This morning, I read Psalm 25. The chapter is a beautiful reminder and praise of God's faithfulness. Verse 10 stood out to me, resonated with a devotional I heard earlier this week. Let's work backwards through this verse, first determining to whom this truth applies. Who are "...those who keep His covenant and His testimonies"? We are - His children. We strive to become holy, to uphold His covenant and testimonies, for He is holy. We are followers of Christ. 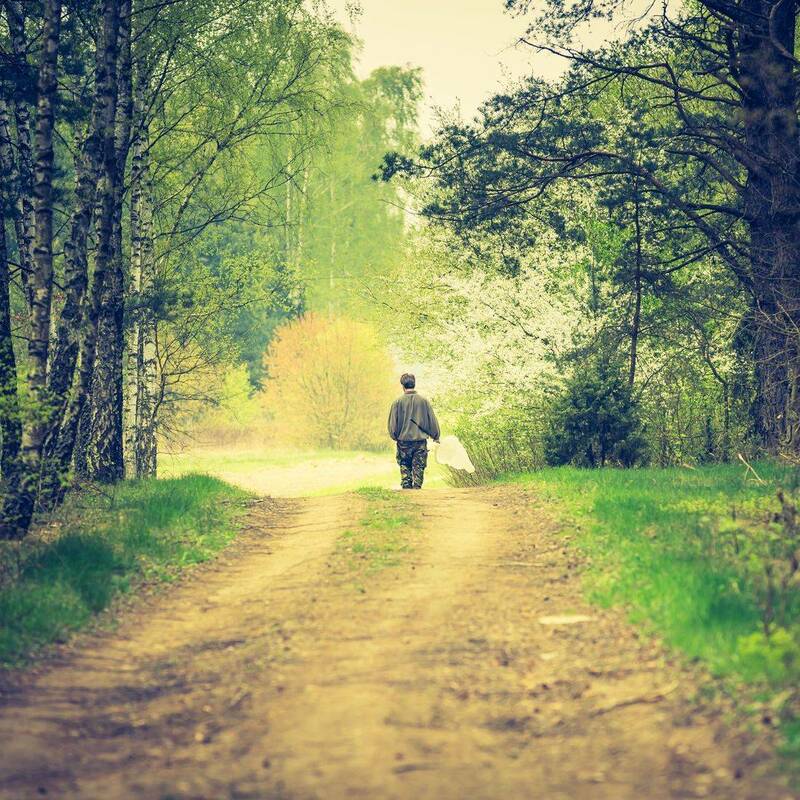 Following Christ means walking the paths He leads us down. And, this verse says, "all the paths of the Lord are steadfast love and faithfulness (emphasis added)." All of them... including the hard ones. Including the ones that are so horrifically painful, so utterly devastating that leave you screaming why, the ones that seem to have nothing redeeming, the ones that leave you battered and broken. Any and every path you find yourself on, God is with you. Because He is steadfast love - the firmest, strongest, most relentless kind of love. And because He is faithful, His nature cannot contradict Himself, which makes Him utterly worthy of our trust. Those who love God. Those who are called. Chosen. Children. Beloved. You may be deep in the valley, covered by darkness and grief. You may be high on the mountaintop, surrounded in light and joy. Regardless of where you find yourself, you are in God's hand. He has not forsaken you. Our loving Shepherd is faithful to lead us through the green pastures, and He is just as faithful to lead us through the dark valley. Our next book will start on Dec 1st. Covering the topic of advent for Christmas. The book we will be reading is The Dawning of Indestructible Joy by John Piper. Its a very simple, yet deep in message & meaning, easy quick daily read. We will be reading one very quick page each day as we count down to Christmas. John is the fourth gospel and it is unlike the previous three gospels. It is unique! The book of John shows 7 signs and miracles. Six of these miracles are not mentioned in the other gospels. Also, there are almost no parables in John but it includes the seven “I AM” statements. These statements are not included in the other gospels! And finally, we will see our Savior and Lord lay his life down for us on the cross, rise from the dead and then walk and talk with his disciples one last time before sending the Holy Spirit. Our group will be doing GMG 4 week study called Rest and Release, starting on Feb 25th. https://www.facebook.com/groups/141423013188503/ This is a 4 week study that Courtney wrote to refresh our souls at the start of a new year. The main verse for this study is John 14:27 “peace I leave with you: my peace I give you. Not as the world gives do I give to you. Let not your hearts be troubled, neither let them be afraid.” Which is perfect since we just finished the book of John. Courtney and Good Morning Girls Ministry will be taking a break until April. The next new group study - that all the small groups will be doing together with GMG / Courtney will begin sometime in April and the book of the bible for that study has not been announced yet. During this break Courtney has suggested that we pick one of her devotional studies to do until April’s big group study. So that is why our group is doing Rest and Release study. Starting April 1st we will be studying the book of 1 Kings in partnership with Good Morning Girls. Have you ever read the book of 1 Kings from beginning to end? You don’t want to miss this action packed book of the Bible! We will learn many life lessons from the lives of both the good and the bad kings. Join our online group here. (We are currently in the middle of a study called Rest and Release) This new study will start April 1st. The study book for 1 Kings can be purchase on Amazon. New book read starting March 11th - Join Us! As we move towards Easter, I thought it would be the right time to read a book on the topic of Grace. It’s by Grace that we are saved through the blood of Jesus Christ. We will be reading a book called “Grace: more that we deserve-greater than we imagine” by Max Lucado. This book also won the Christian book award of excellence.